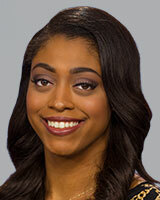 Morgan Norwood joined the ABC11 Eyewitness News Team in October as a Reporter for the Fayetteville newsroom. Morgan, a native of the Triad, is thrilled to return home to the Tar Heel State. Before coming to WTVD, Morgan worked as a general assignment reporter, producer, and fill-in anchor for WTXL-ABC27 in Tallahassee, Florida. There, she won a Florida Associated Press Award for Breaking News Coverage of the "FSU Strozier Library Shooting", a story that made national headlines. Morgan's professional journey also includes an internship with MTV where she worked and appeared on the Emmy Award Winning docu-series "Made". In her spare time, you can catch her with her Nikon camera in hand (she's a wanna be-photographer) volunteering with the March of Dimes, or singing at a nearby church. The Woodpeckers are ready to play ball but will their home stadium be ready to receive curious fans during this weekend's soft opening? One man is behind bars and another is wanted by investigators in the 2002 murder of a man from Red Springs, North Carolina.